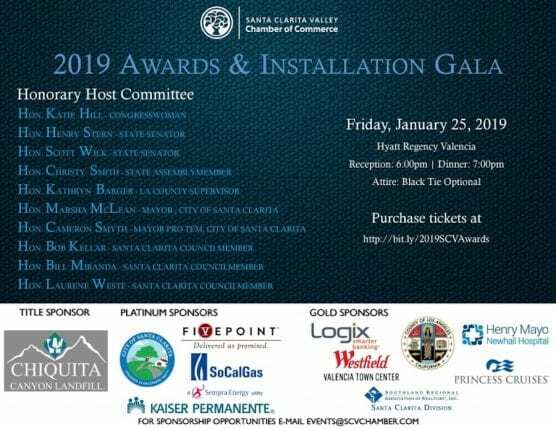 The Santa Clarita Valley Chamber of Commerce will hold its 95th Annual Awards & Installation Gala, Friday, Jan. 25, starting with a reception at 6:00 p.m., followed by dinner at 7:00 p.m. The gala will be held at the Hyatt Regency Valencia, located at 24500 Town Center Dr, Valencia, 91355. Attire is Black Tie Optional.